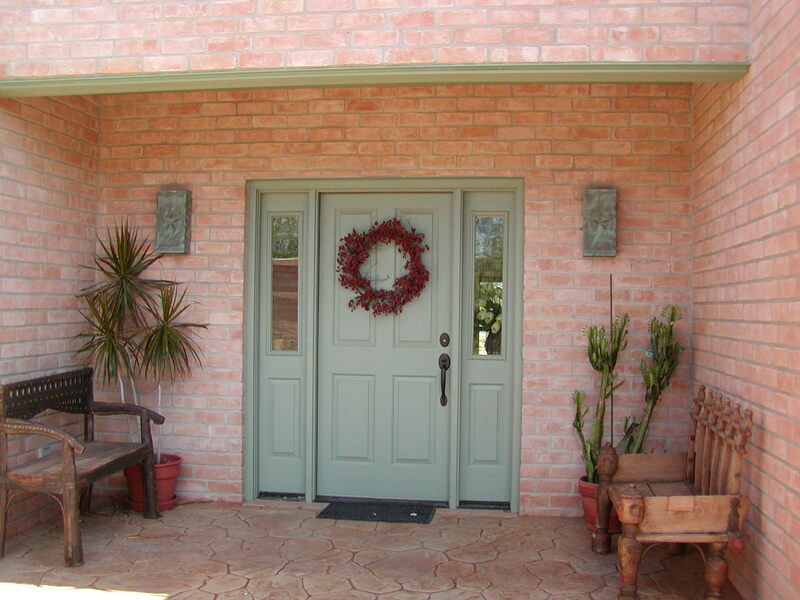 Located in the heart of the Lower Rio Grande Valley, adjacent to world famous Santa Ana National Wildlife Refuge, Casa Santa Ana is a beautiful gated bed and breakfast residence built specifically for birders and other wildlife enthusiasts. CSA is nestled between the refuge and Military Highway (Route 281), less than 200 yards north of the refuge and an easy 10 minute walk from the refuge headquarters. It features a detatched guest wing, each room with its own private bathroom, and a shared recreation room/kitchen with laundry and entertainment facilities. Each room has an outside entrance. Owners Judy and John McClung operate CSA as a "home stay" residence, meaning guests take their meals and use the grounds and shared areas in accordance with their personal schedules and tastes. Because CSA is located mid-Valley, it is an excellent jumping-off point for other Valley birding and recreation sites, from Laguna Atascosa NWR some 45 miles to the east, to Falcon Dam some 75 miles to the west. Just a third of a mile north of the Rio Grande River, it also is minutes from shopping and sightseeing in Mexico. Perhaps most significant, it is a quiet, private, secure retreat where guests can enjoy the unique environment and wildlife of the lower Valley while feeling very comfortably safe and at home.